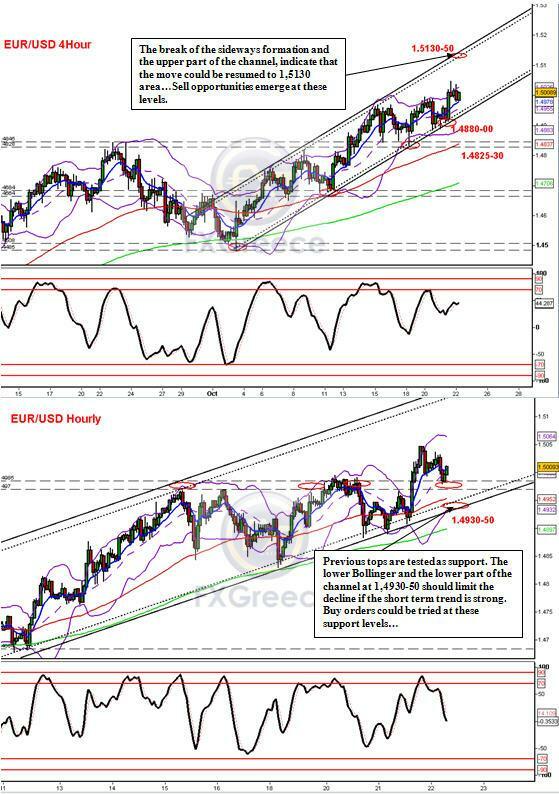 Comment: Yesterday’s rise above 1.5000 was expected and our basic targets are being reached... The basic target from the break of the June-August sideways formation is 1.5100 area ( clear in the daily chart). We are cautious regarding the break of 1,5100, as a sideways formation which could be used as a base for a new rise, is possible. 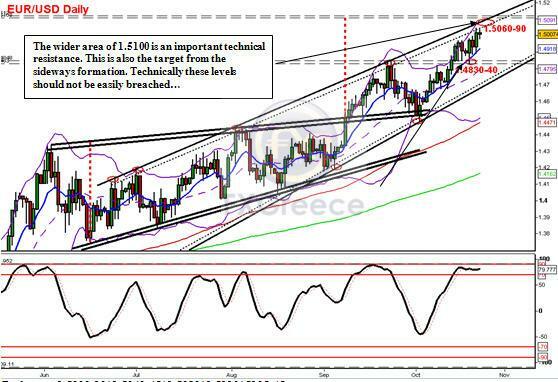 Another scenario would be the formation of an important corrective move. The area of 1,4980-00 is turned into a support and a move above 1,5130 would be a sign of strength, binging the area of 1,5250-5300, back in the game. . Important support emerges at 1,4960-70 and 1,4930 area . If these levels are confirmed, the rise could be resumed to previous tops. Next support emerges at 1,4880-90 and 1,4830, which is the low of the last base before the tops. A reach of these supports will indicate that a short term top has been formed and a consolidation will be possible with ranges between 1,4800-1,5000..
For now, we will focus on 1,4960-70 and 1,4920-30 support for strength signs and 1,5100 for retracement signs. *STRATEGY: Our yesterday’s targets were not achieved for 10 Pips and today we will try buy orders at a possible retracement towards 1,4940, adding positions at 1,4920, and placing stops below 1,4870. Our target will be at previous tops.